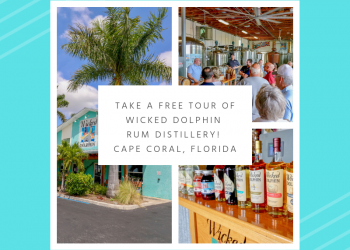 When Wicked Dolphin Distillery in Cape Coral opened in 2012, this groundbreaking business was the first legal distillery to operate in the Fort Myers area since prohibition, some 90 years earlier. 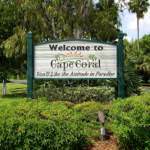 It has grown to become the largest craft rum distillery in Florida and No. 1 in the USA. 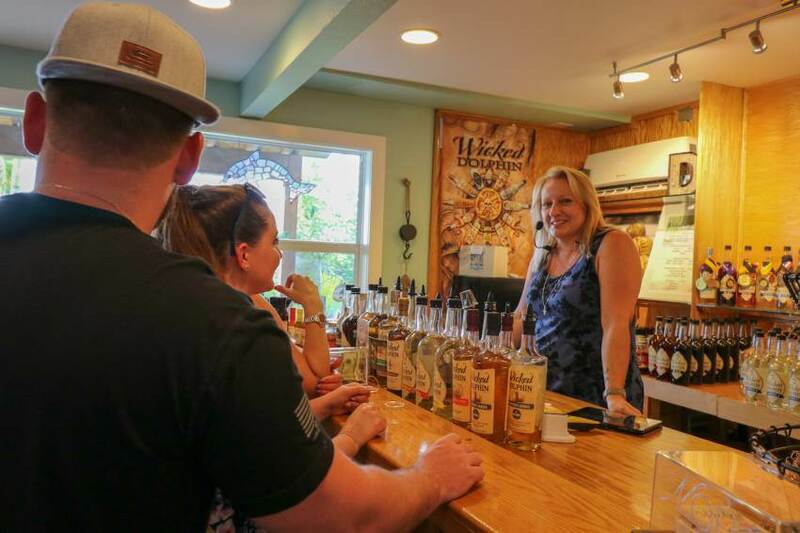 Founder and CEO of the Wicked Rum Distillery, JoAnn Elardo was dissatisfied with the processed and artificial taste of the rum she bought. Sugar cane is the main ingredient for this amber spirit, and it is still grown across South Florida, particularly around the southern end of Lake Okeechobee. With local resources right on her doorstep, Elardo began experimenting with craft rum production using high-quality local ingredients including honey, oranges, and sugar cane. 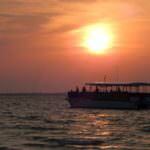 Once she had perfected the art, she named it Wicked Dolphin Rum. 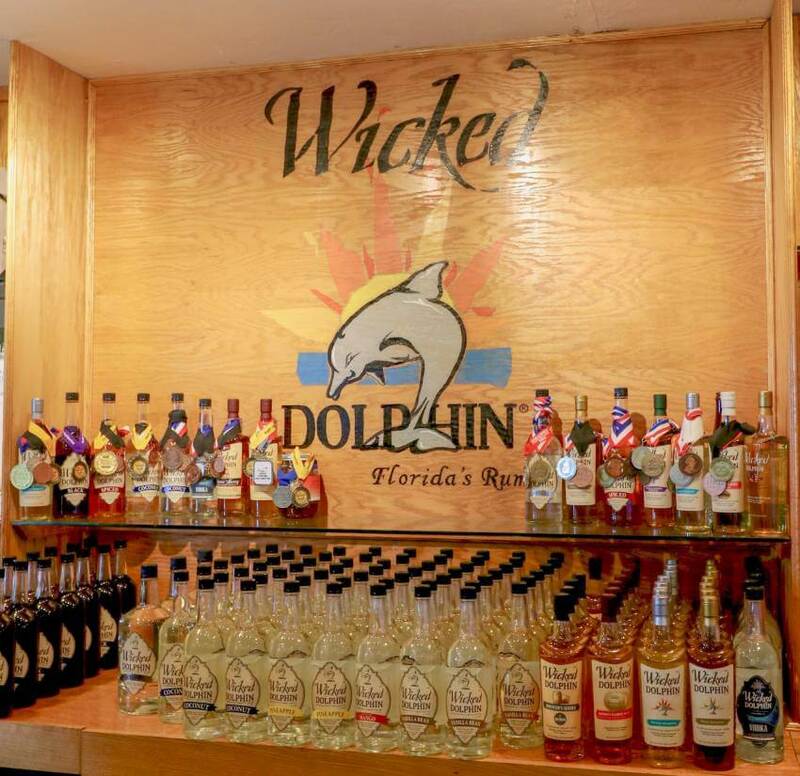 Now an award-winning artisan product, Wicked Dolphin Rum continues to be handcrafted in small batches using an authentic American copper still. The secret to the exceptional flavor and quality is the slow and tedious process which sees the rum distilled 10 times to reach the ultimate purity. 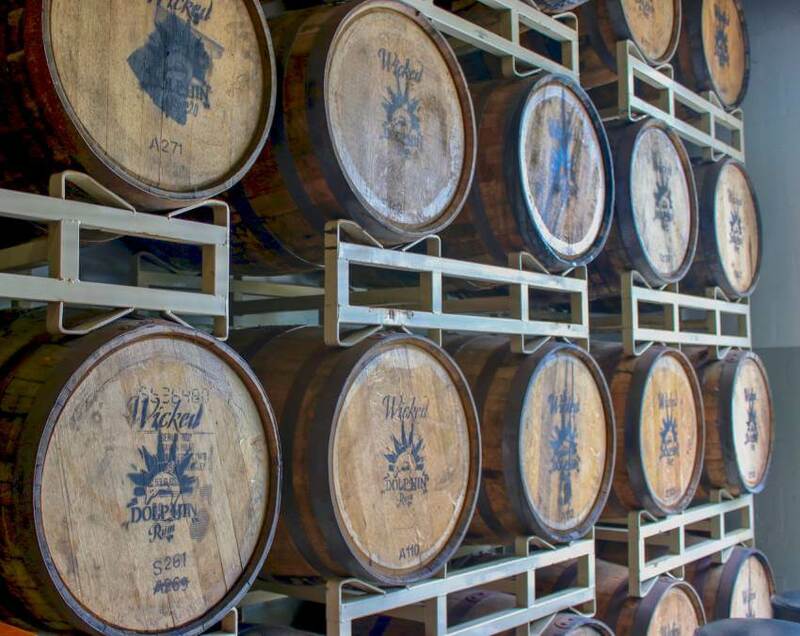 Wicked Rum Distillery discards the harsh first and last cuts from the process, unlike mass producers who add it back to the final rum to create a harsher hangover-inducing product. 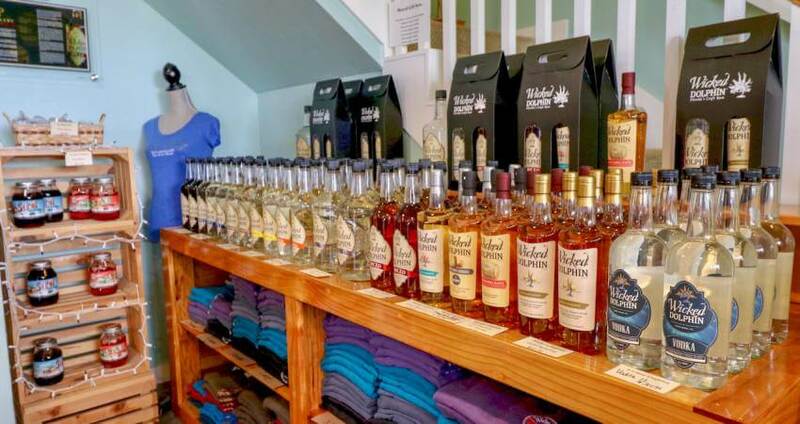 At Wicked Rum Distillery only the best cuts of rum are bottled and sold under the catchy name. During the process, the rum is aged for anything from 3 to 14 years in American white oak bourbon barrels which adds to the flavor. 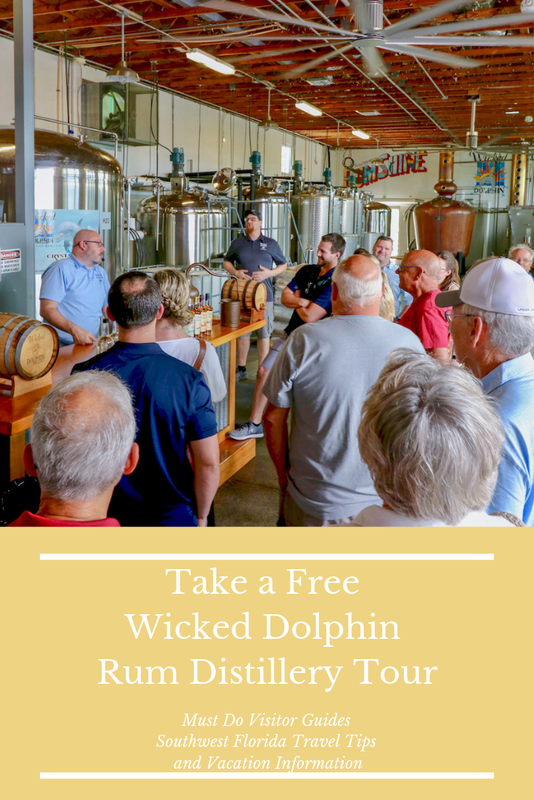 Wicked Dolphin Distillery welcomes over 20,000 visitors each year to tour the distillery and see how rum is made. Tours are free and are offered Tuesdays, Thursdays, and Saturdays. 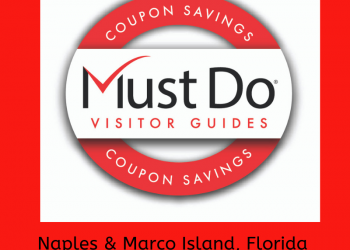 Each tour is 45-60 minutes and includes samples for those over the age of 21. 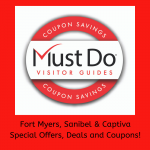 Private tours are also available for clubs and groups. 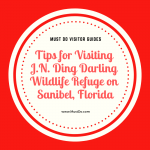 It is recommended to reserve ahead by calling or booking online. 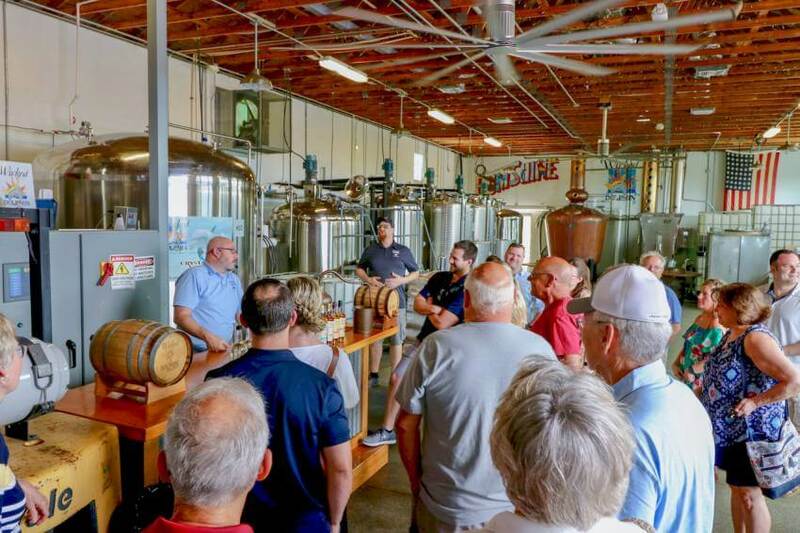 Visitors learn how the ingredients are sourced, cooked, fermented, and distilled in the plant and then the tour moves to the Tasting Room. 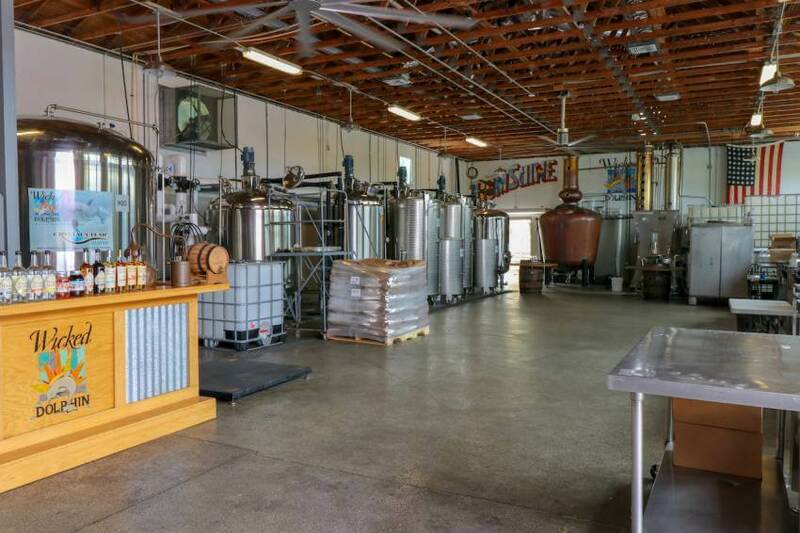 The distillery and barrel room can be hot in summer due to the equipment, but the tasting room is air-conditioned. 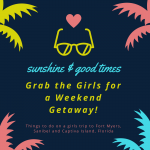 Samples include many delicious flavors including coconut, vanilla bean, spiced, mango, and pineapple rums. 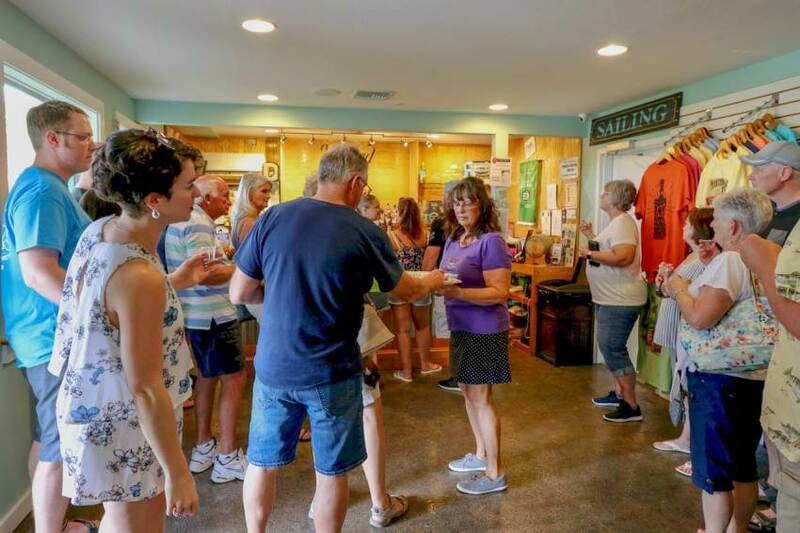 During the tours, visitors are encouraged to lend a hand bottling, corking, capping, shrink-wrapping, labeling, and tagging. 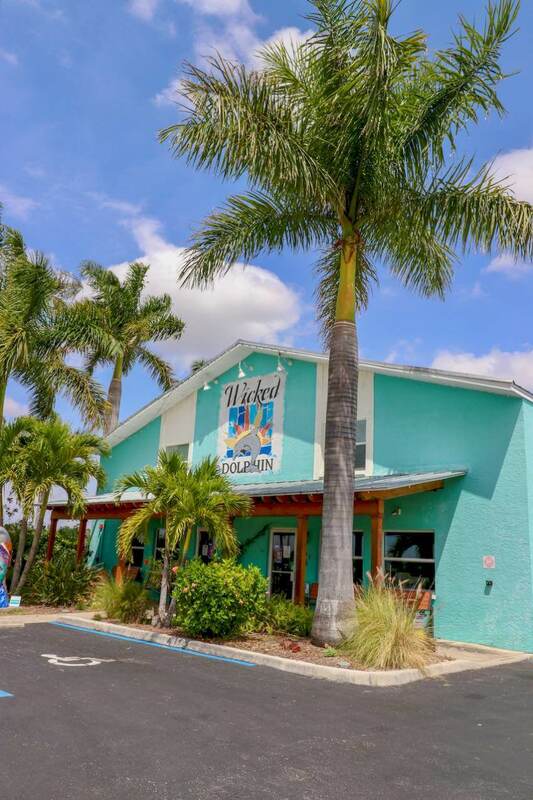 It makes a fun and friendly place to visit, and you can purchase bottles of Wicked Dolphin Rum at outlet prices to take home. There is a maximum of six bottles of each size and flavor per person per year, as per Florida law. 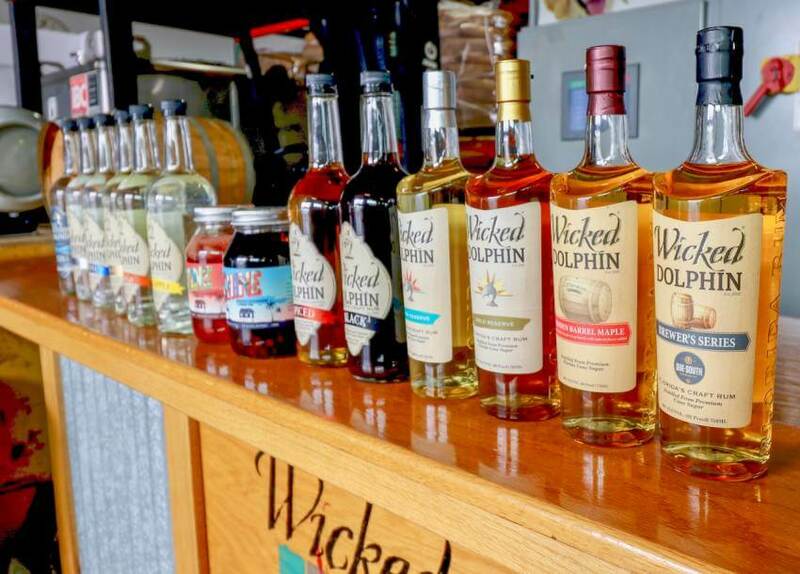 Wicked Dolphin flavored rums are the perfect ingredient for cocktails – just add fruit juice, sprite or even lemon juice and syrup; shake and serve. 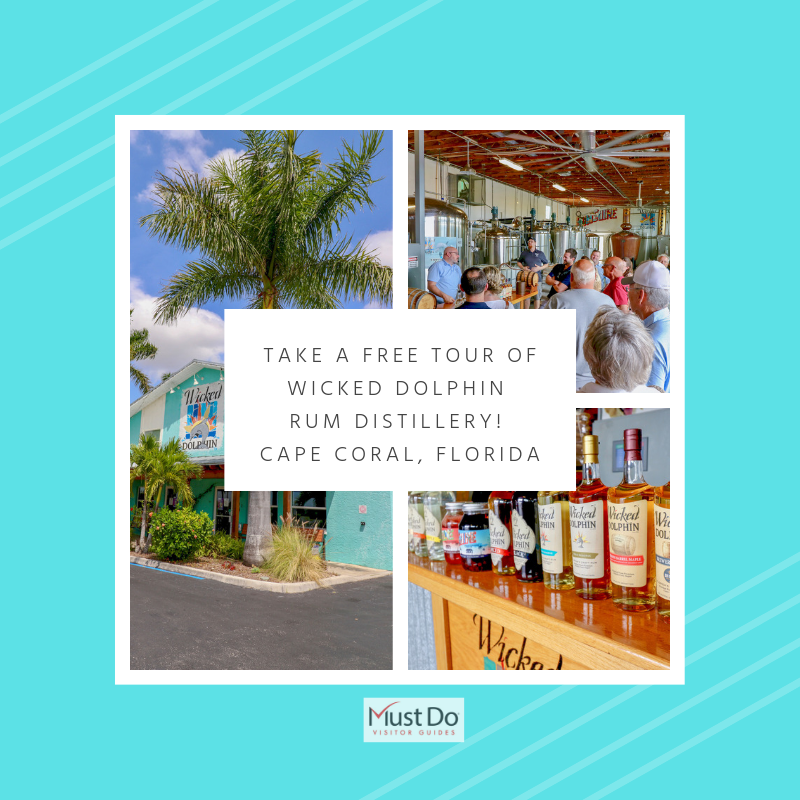 Add sugar, fresh mint, and club soda to coconut rum for a Florida Mojito or create your own Coconut Colada with Wicked Dolphin Silver Rum, Coconut rum, pineapple juice and crème of coconut. Served neat over ice or in a Bahama Mama, you’ll really taste the quality. 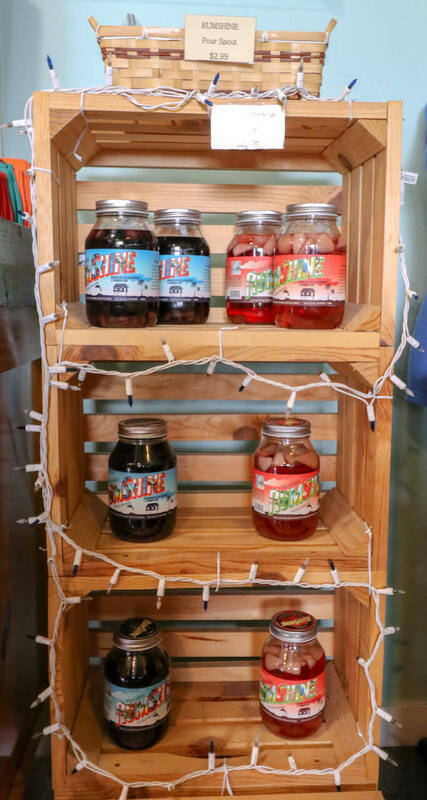 Wicked Dolphin Distillery also produces a “Rumshine” range in screwtop Mason jars with blueberry, apple pie, and strawberry flavors. 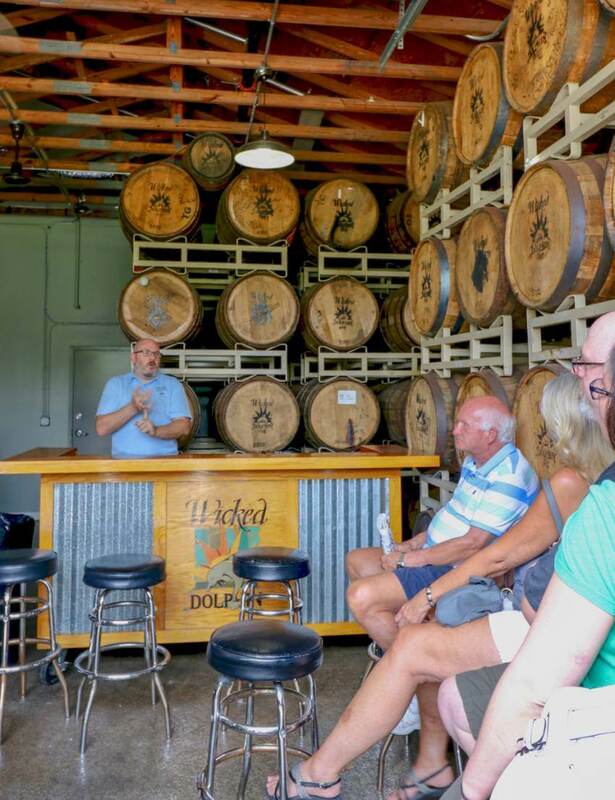 Now a family-run distillery employing a team of 16 full-time and 30 part-time workers, the Wicked Dolphin Distillery goes from strength to strength. It holds a clutch of gold and silver medals including a Gold at the renowned International Rum Competition in Madrid, Spain.